Inana is the follow-up to trumpeter Amir ElSaffar’s critically acclaimed 2007 release, Two Rivers (Pi 24), which Allmusic.com called ”as impressive a debut as we’ve had in America in the 21st century.” ElSaffar has continued to extend his compositional palette in the four years since that release: While Two Rivers combined elements found in the modal music of the Iraqi maqam with the rhythms and aesthetics of modern jazz, Inana builds on those concepts to include a microtonal harmonic and melodic language, influenced by the pitch-flexibility of Middle Eastern music, which ElSaffar honed working with the saxophonist Hafez Modirzadeh on their co-led release Radif Suite (Pi 32, 2010). The result is a new work that further expands the sonic possibilities of jazz. The first eight tracks of the album make up the “Inana Suite”, named after and inspired by the ancient Mesopotamian goddess of carnal love and warfare. The CD cover features her name in Sumerian cuneiform script, and the eight-pointed star on the back cover represents her association with the planet Venus. Inana is a powerful and unpredictable deity, often creating chaos around her and disrupting the otherwise orderly pantheon of Sumerian gods. The suite attempts to capture the complexity of Inana’s spirit, and many of the compositions are inspired by specific myths or aspects of her being. The suite progresses from ”Dumuzi’s Dream,” which directly combines jazz with maqam, to pieces not based on the maqam tradition such as Infinite Variety, which expresses Inana’s diverse character through six independent melodies layered in counterpoint. The work culminates with Journey to the Underworld, a composition in seven sections, each depicting a part of Inana’s epic tale that inspired similar myths in subsequent ancient cultures and remains a topic of discussion in modern psychology. Born in Chicago to an American mother and an Iraqi father, ElSaffar began playing the trumpet at a young age and started performing professionally by his late teens. After completing a degree in classical trumpet from DePaul University in 1999, he moved to New York to pursue a career in jazz, where he performed with such musicians as Rudresh Mahanthappa and Vijay Iyer. In 2002, months after winning the Carmine Caruso Jazz Trumpet Solo Competition, he put his career on hold to devote himself to the study of the Iraqi maqam. He spent the following five years traveling to Iraq, throughout the Middle East, and to Europe in pursuit of the masters who could impart to him this centuries-old tradition, one of the most complex forms of Arab music that has been inscribed on UNESCO’s “Representative List of the Intangible Cultural Heritage of Humanity.” ElSaffar is now an accomplished maqam singer and performer on the Iraqi santour (hammered dulcimer), and leads Safaafir, the foremost Iraqi maqam ensemble in the United States. In 2009, he was a semi-finalist in the International Maqam Competition in Baku, Azerbaijan. To deepen his knowledge of the music, he later returned to that country for a three-month residency to study the Azeri mugham. A virtuoso on the trumpet, ElSaffar has applied aspects of the maqam to his playing and is now one of very few microtonal trumpeters in the world. Using a standard, three-valve instrument, ElSaffar has created new techniques that enable intonation and ornaments that are characteristic to Arabic music. His unique skills have earned him the opportunity to perform with such disparate jazz musicians as Danilo Perez and Cecil Taylor. As a composer, ElSaffar has continued to develop a highly personalized harmonic language built on extensions of the microtonal resonances found in the maqam. Helping ElSaffar bring his singular compositional and improvisational concept to life is The Two Rivers Ensemble, a group of highly-skilled, creative musicians comprised of Nasheet Waits, one of the most dynamic drummers in jazz who is best known as a mainstay in Jason Moran’s Bandwagon; bassist Carlo DeRosa, whose CD Brain Dance was released earlier this year to considerable acclaim; Tareq Abboushi on buzuq (long-necked lute) whose CD, Mumtastic, contains his own blend of jazz and Arabic forms; multi-instrumentalist and virtuoso Zafer Tawil, who is one of the most in-demand Arab musician in New York; and the newest member of the ensemble, saxophonist Ole Mathisen, who replaced Rudresh Mahanthappa in the band when the latter’s burgeoning career made it difficult for him to commit his time to the project. Mathisen has been active on the New York scene for almost 20 years in a wide assortment of contexts including Persian, Indian and Latin music. Most importantly, he is one of few musicians to have mastered microtonal playing on the saxophone. After five years of extensive performing and touring, the Two Rivers Ensemble has developed an instinctive ease with this highly complex music, enabling the band to play with a creativity that transcends pure technical challenge. Using maqam to transform the jazz idiom, the music still speaks the language of swing, improvisation and group interaction. 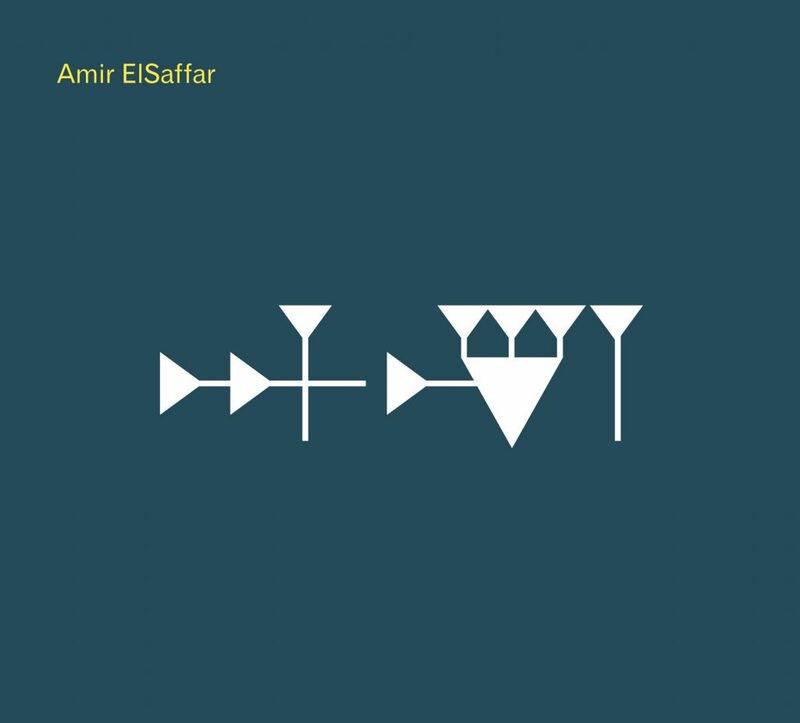 With Inana, ElSaffar has once again uncovered entirely new possibilities in the evolution of jazz.